MDOT spokesman Dan Weingarten says the bridge has been inspected and has met all conditions for reopening to traffic. The bridge had been closed since early Tuesday morning after water from the flooded river overtopped the roadway. 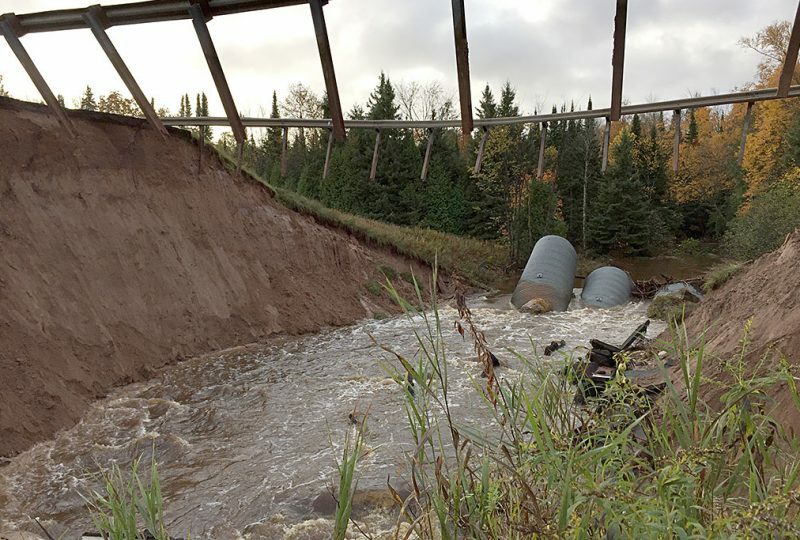 After 3 to 4 inches of rain overnight Monday, the US-41 bridge over the Chocolay River between Heidtman Road and Yalmer Road near Skandia was underwater early Tuesday morning. 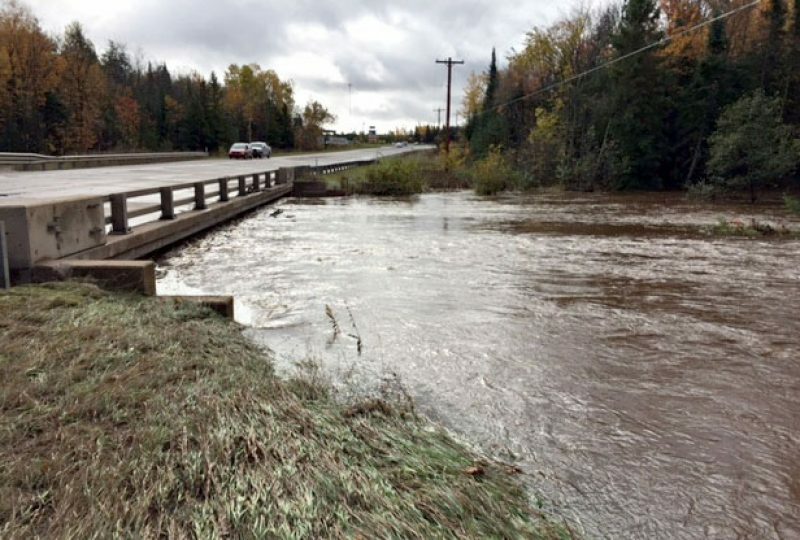 While floodwaters have receded during the day, MDOT kept the road closed pending a bridge inspection. The closure on M-94 about 2 miles west of U.S. 41 will more long term. Johnson said it could be a matter of weeks or even months rather than a few days. A four-culvert system that carried the east branch of the Chocolay River under the roadway washed way in yesterday’s flooding. 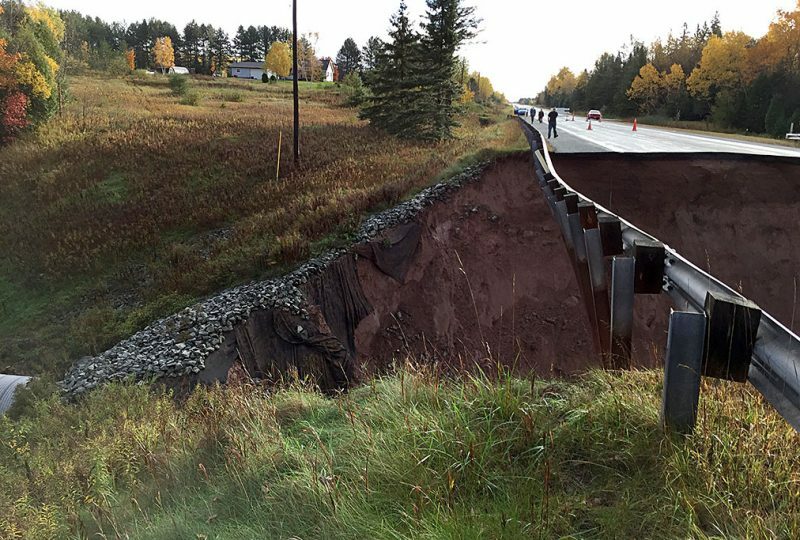 The gap is estimated to be about 90 feet wide and 35 feet deep. Share the post "U.S. 41 closed by Chocolay River flooding reopens, M-94 remains closed"
Categories: Featured, Marquette County, and Roads.